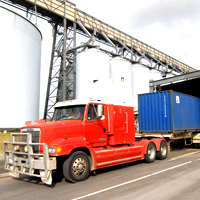 Emerald provides an efficient and reliable grain acquisition and storage service. 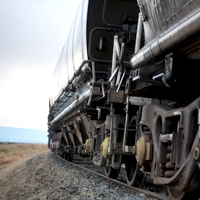 Our network enables you to acquire grain direct from growers across Southern New South Wales and Victoria, trade grain through Track and ASX contracts and export grain efficiently in both bulk and containers. Our new grain system and service centre enable fast, efficient business transactions between our grower and client communities and lets you monitor your acquisitions, stock and cargo accumulation in real time. 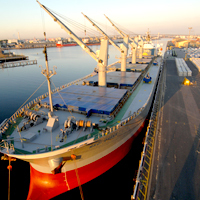 Opened in 2000, the Emerald Melbourne Port Terminal is one of the most modern bulk grain export facilities in Australia. Operating within the port precinct Emerald provides a fast and efficient packing service including delivery to the container terminal. Emerald will assist clients manage their stock holding by providing up to date reporting on stock levels and transaction movements. For more details see stock information via your secure login to the service centre. Emerald will assist clients to manage their service charges by providing up to date reporting on invoiced charges. Details of all charges are available as a download.